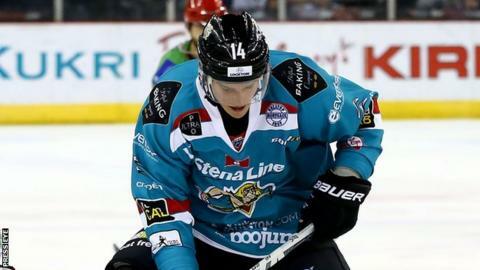 The Belfast Giants trail the Nottingham Panthers 4-3 after the first leg of their Elite League play-offs quarter-final at the National Ice Centre. Brad Moran and Juraj Kolnik found the net early in the second period for the hosts but Mike Wilson, Chris Higgins and Mike Forney replied for the Giants. Can Janssen and Stephen Schultz netted the crucial goals for Nottingham in the third period. The sides will play their second leg at the SSE Arena in Belfast on Monday.